Have you been impressed (and envious) of the beautiful night landscape/sky shots you’ve seen floating around the internet? 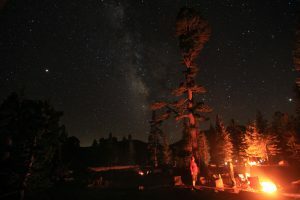 Do you wish that you could capture a breathtaking Milky Way vista above your favorite camping spot or mountain view? Odds are pretty good that you CAN do this, and that the camera that you own right now is capable of getting these shots. This presentation will show you how it’s done. 3) Post-processing of images to bring out that magical “wow” factor that will have people asking if they can use your photo as a desktop background or their instagram profile (or better yet, buy a print! ).